Having traveled to Guatemala numerous times over the past 12 years, I can honestly say Guatemala is one of my favorite places to visit. If you've ever wanted to explore ruins in the jungle, take a raft down a virgin river, or soak in colonial architecture, Guatemala is for you. Being the largest republic in Central America, Guatemala is home to over 12 million people. 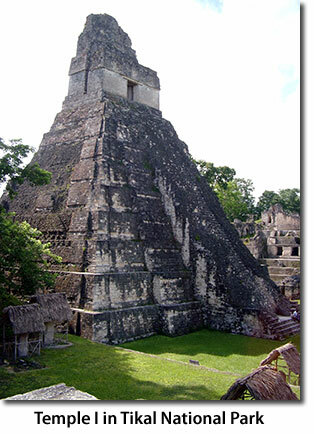 The country has a rich cultural heritage and boasts dozens of indigenous Maya dialects. Most of those from Maya descent have mixed with the Spanish colonizers making up the majority of Guatemala's population and are called Latino or Mestizo. The landscape and geography of Guatemala is just as diverse as its people. With the highland mountain ranges to the low-lying costal areas, Guatemala is a hotbed of bio diversity. Rainforests cover much of the lowlands while the mountains have a more arid environment. All kinds of vegetation and animal life can be found throughout the country. Guatemala has had a rough political history with a civil war running from 1960 to 1996. Luckily things have been resolved and the country has been a pretty safe place to travel. Guatemala City is the capital and largest city in the country boasting a population of over 2 million within city limits. The urban population around Guatemala City brings the total to over 5 million. The city is fairly modern with paved streets, buses, taxes, and large buildings downtown. The true treasure in Guatemala lies outside of the capital in the mountains to the west, the Pacific coast to the south, the Caribbean to the east, and the tropical jungles to the north. Guatemala's natural beauty and diversity is second to none. From a traveler's standpoint, Guatemala is a a great destination for the outdoor adventure vacation of a lifetime! I highly recommend Guatemala based on the following travel points. Click on the links below for details. Cheap, cheap, cheap! - That's right. For the penny-pinching traveler, Guatemala is what Mexico used to be 50 years ago--everything is extremely affordable. Native Culture - Scrap your American McDonalds and step into a world that has had traditions handed down for thousands of years. From the colorful clothing of the Maya in the highlands to the beach lifestyle of the Garinagu in the east, Guatemala is the most culture-rich country I've seen in Latin America. Breathtaking Vistas - From Guatemala's lush jungles to its scenic Caribbean to its colorful mountain lifestyles, this has something for everyone. Transportation - It's pretty easy to get around in Guatemala. With buses running all the time going everywhere, you can easily get around. They even have reasonable flights to the ruins! Fresh Fruit - You won't get this in the United States: fresh fruit sold in thousands of markets all over the country! Mango, papaya, bananas, coconuts, and a lot of exotic fruit you've probably never seen before in your life! The People - Saving the best for last, the Guatemalan people are incredible. They are humble, friendly, and enjoy seeing "Gringos" get lost in their country. It definitely helps if you know Spanish though.